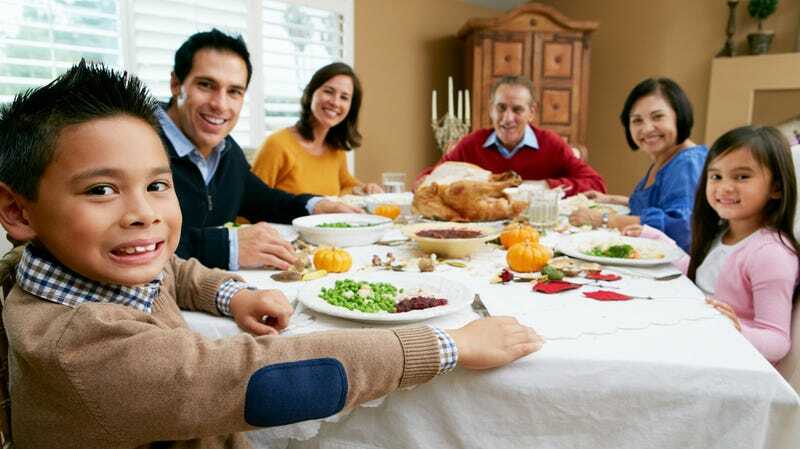 My fellow gaming Americans, Thanksgiving is a day when you can eat turkey, be lazy and answer questions from well-meaning but relatively uninformed relatives about that video game thing you're into. Surely, grandma asked you about that new PlayStation today? Or your brother-in-law mentioned, while passing the cranberry sauce, that he's buying an Xbox One to play GTA V? Maybe a niece told you what she thinks of the new Pokémon? Share the after-action reports of your Thanksgiving gaming conversations below. And if you brought a game or console to your folks' house to show it off, all the better! Let us know how it went. To contact the author of this post, write to stephentotilo@kotaku.com or find him on Twitter @stephentotilo. Photo: Monkey Business Images | Shutterstock.